A lifetime of relief from the common cold starts here! Despite advances in medical research and modern medicine’s ability to solve complex problems using sophisticated procedures and high-tech equipment, we still have not found a cure for the common cold. Even though a variety of so-called cold remedies exists, they mostly treat only the symptoms—after infection has occurred. A more prudent course of action is to avoid becoming infected by the more than two thousand different viruses known to cause colds. Undoubtedly one of the main concerns in any preventive effort is developing a strong immune system to guard against what Chinese medicine refers to as perverse energies. Chinese medicine contends that wind is a major factor in causing colds and flu and that we should take strong precautionary measures to protect ourselves from what the Chinese call “wind invasion,” as part of an overall preventive strategy. According to Chinese medical theory, cold and flu viruses are ever present in the air we breathe, and it is the wind blowing into our faces that drives the virus into the body at the most common point of entry: the nose and the mouth. Protecting these portals is considered so important in China that instead of wrapping a scarf around the neck, people usually wear it across the face, covering the nose and mouth. Along with vigilantly protecting the points of entry, another effective preventative measure is the regular use of Chinese herbal formulas to build up the immune system. If regular use of herbs is not always possible, some comfort can be had in knowing that certain Chinese herbs have proven miraculous in their ability to prevent infection by fighting off viruses when they are taken immediately after the onset of initial symptoms. Traditional Chinese medicine attributes this to the fact that upon entering the body—usually through the mouth or nose—the virus remains on the surface (just beneath the kin) for a short time before entering the lungs. That is the “critical time” when quick action must be taken if there is any hope of successfully preventing the virus from advancing beyond the surface and entering deeper into the body’s organ system (the lungs). Once the virus has entered the lungs, one can expect full-blown cold/flu symptoms. Typically, the initial symptoms are shore throat, chills, or perspiration, which are the body’s attempt to repel the invading virus. 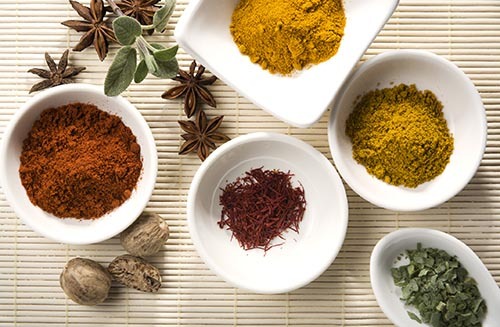 In addition to using Chinese herbs as needed to prevent colds/flu, the systemic immune-enhancing effects of regular herbal use also provide protection in high-risk situations such as exposure to large crowds in poorly ventilated areas (shopping malls, movie theaters, schools); visits to hospitals, clinics, or other infectious environments; and during airline travel, when the traveler is breathing recirculated air. The formulas listed below can be used to prevent as well as treat the symptoms of colds and flu and are highly recommended. This amazing cold-prevention patent formula is sold in two sizes—choose from—one box of 96 pills (th.. This potent immune system support/cold prevention prescription is sold in two sizes—choose from—one ..